Across the country, tech companies disrupting the short-term rental market, such as Airbnb and HomeAway, have posed major problems for local housing markets. The biggest complaint stems from the argument that websites like Airbnb drive up real estate prices during a time when housing prices have already reached highs, no less. Starting April 1, 2017, however, newly-adopted ordinances by the City of New Orleans will take effect, changing how short-term rentals are regulated in NOLA. The City of New Orleans has taken comprehensive measures which not only aim to regulate short-term rentals, but seek to address related issues of affordable housing and quality of life. Whether Airbnb hosts can rent out their properties all year long is a major point of contention. Opponents say imposing limits will take away lucrative opportunities from city residents. 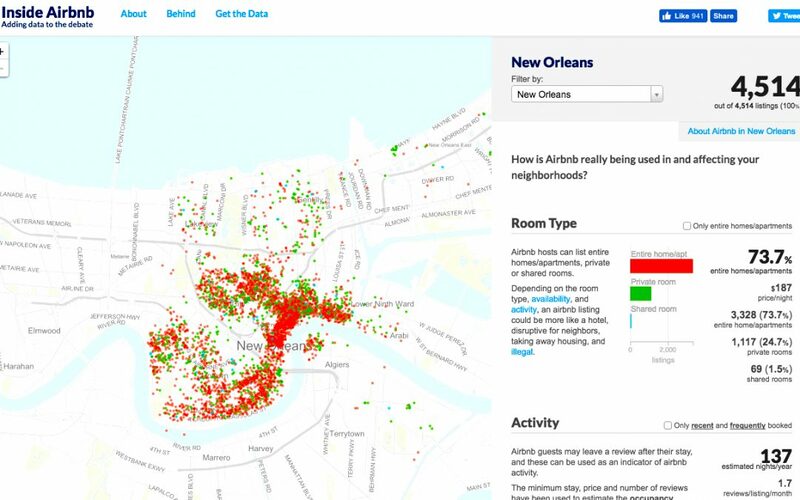 NOLA is planning to limit whole-home Airbnb rentals to a duration of 90 days per year. Without this seasonal limit, housing prices in NOLA would be more expensive and there would be fewer desirable homes in supply. The City Council has agreed to permit short-term rentals in New Orleans provided that Airbnb hosts inform the City of these transactions. Starting on April 1, hostd must register their short-term property through Airbnb and the company will be required to communication this information to city officials. The new ordinance provides the city with greater oversight over Airbnb, making the short-term rentals easier to track. Those found in violation of the city’s ordinances will be fined. 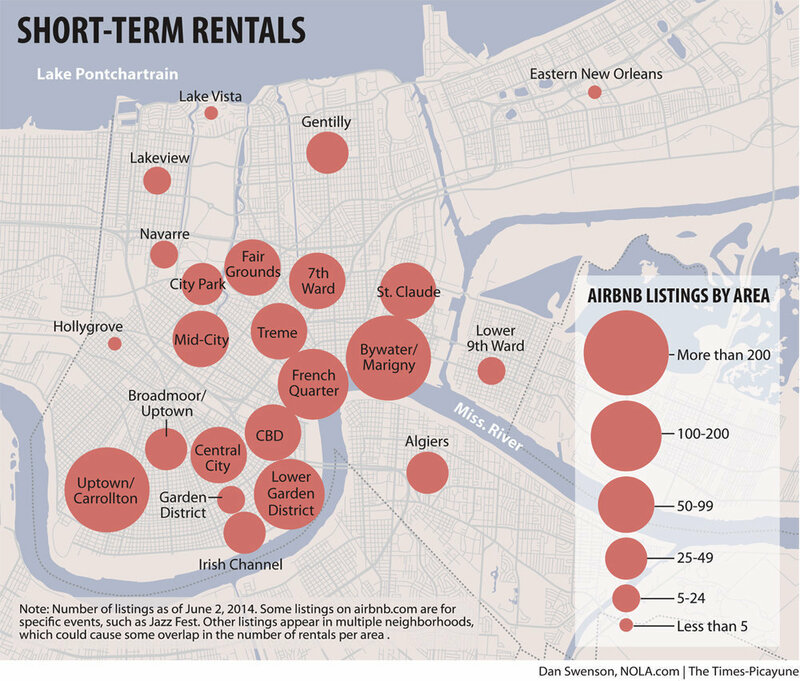 The new rules ban short-term rentals within the French Quarter. Regulating rentals in this popular neighborhood and tourist destination works to curb the prices of real estate listings in the area. There is one exception in place for residents who live or own property along Bourbon Street, a hotbed for entertainment in NOLA. Exempting Bourbon Street was a strategic move on the city’s behalf and is meant to encourage more rental activity along this bustling street. So far, New Orleans is the only city in the U.S. to enact provisions to receive direct revenue from the short-term rental market. In New Orleans, the new ordinances add a $1 / night fee to short-term rental costs. The revenue generated will be used by the city to address NOLA’s shortage of affordable housing. Properties nearby or adjacent to short-term rentals could take longer to sell, and are likely to elicit lower bids from bidders. Frequent occupant traffic and turnover could also contribute to excess noise, or even an increase in crime, as some speculate. For Homeowners and potential buyers, this is highly undesirable. Experts say this may result in future legislation requiring real estate agents to disclose short-term rental statistics to potential renters and buyers. Short-term rentals have disrupted local real estate markets in cities across the U.S. NOLA’s approach to the issue may spark other cities to adopt similar ordinances. In the future, Airbnb’s success may depend on the company’s ability and willingness to cooperate with local housing regulations on a city-by-city basis.